Time is flying too fast I can hardly keep up with its pace and it is time to have the annual holiday in 2016, I am really excited! In order to avoid the possible traffic jam, we set off very early when Chengdu is still in the darkness, only with the hazard lights blinking. After about 2 hours driving, we reach the Wenchuan County where the overwhelming earthquake happened on May 12, 2018 and caused devastating damage to the local infrastructure, and families, bring much sadness and sorrow to all the people and ethnic of China and the world. 8 years passed by, many buildings are rising and it is a totally new county and people are living happily and gratefully. we always say travelling not only makes us have broad view of local culture and folk but also makes us rethink our life and meaning, so everybody cherish what you have and keep moving for your goal when faced with hardship or difficulty because life is just like a long journey. Then we head to Songpan Ancient Town but we did not have stop there because the time is not enough considering we will visit Mouni Valley today (please note the Huanglong National Park is not open in winter every year due to the road block in cold weather) finally we arrived at the first destination Mouni Valley in the late afternoon, it is sunny and beautiful, clear flowing water, surrounded by old trees, with some remaining snow, sparking under the sunshine. Especially the air is very fresh and clean and it is beyond far from that in big cities, everything is in peace and just enjoys the moment, and everything comes behind. We spent about one hour to walk around the stream and small waterfall before visiting the local Tibetan family. This is my third time but it is still very interesting, we tasted the Yak meat, barley wine and green tea, it is really delicious and very special. 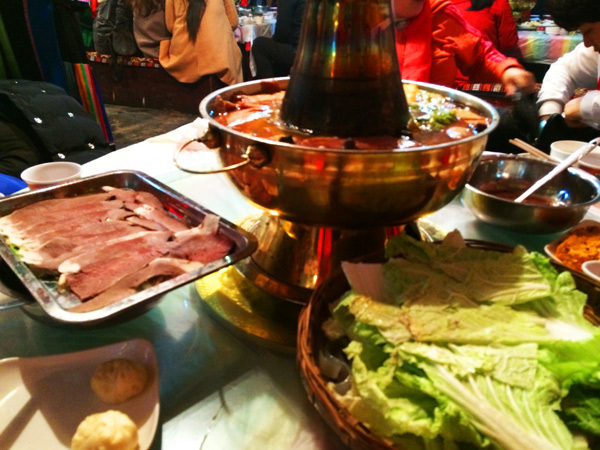 Trust me it is a must to try different food and drinking for any tourists, in particular, overseas customers. At the same time, we watch their dancing and singing performance, it is pretty good and we love it. By the way, I firmly recommend anyone the Jiuzhaigou Impression Show, it is really fabulous and wonderful. 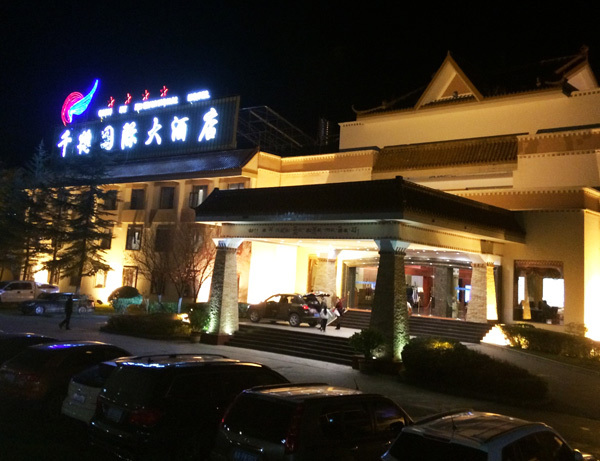 It is already tired now after long distance driving, so we did not hang out at the night but go to the Qian He International Hotel (local 4 star but it is not so good if you have high request) and have a good rest. You can choose to upgrade to 5 star one Howard Johnson Tianyuan Resort Jiuzhaigou Sheraton Jiuzhaigou, International Hotel – 5-star or InterContinental Resort Jiuzhai Paradise but please notice that the price is peak travel season is high , namely Sep and Oct during which. The landscape is the most amazing and fabulous. 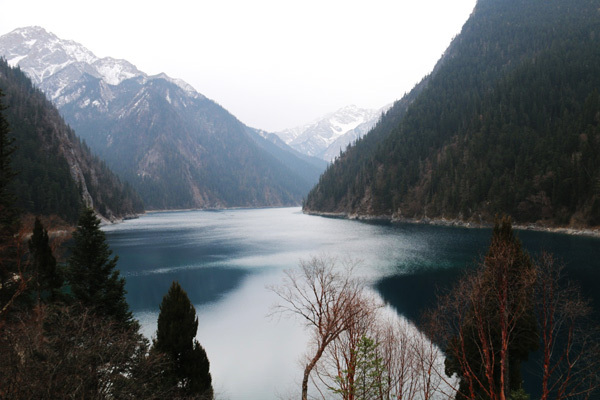 Get up early, have breakfast and we are prepared to explore the highlight Jiuzhaigou Valley, located at the food of mountain Mt. 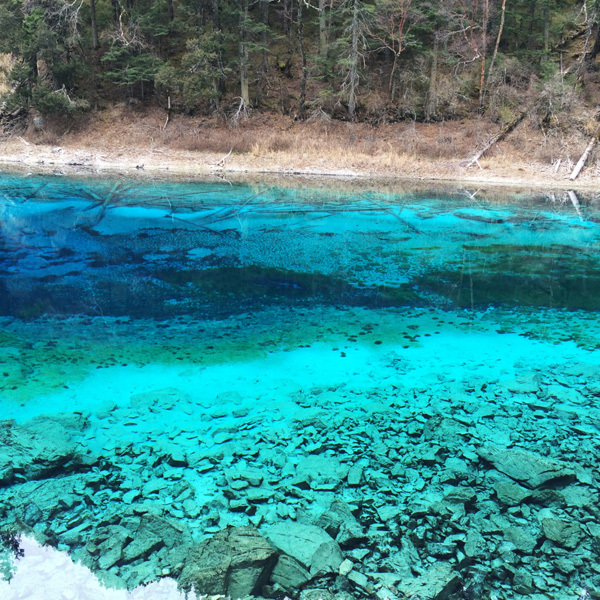 Gonggang of the Minshan Mountain Range in Jiuzhaigou County of Aba Tibetain and Qiang Autonomous Prefecture in Sichuan Province. I would like to give you some general introduction, it is 29 kilometers from east to west and 47 kilometer from north to east. Coving an area of 720 square kilometers. It was inscribed on the list of world natural heritage by UNESCO in 1992 and in 1997. It was admitted into the world biosphere reserve by the United Nations. It is not far from our hotel and only takes about 20 minutes, on our arrival, there are many people from all of China and oversea at the exit, talking, reading instructions, waiting for tickets and keeping line for check in, it is very crowded but it is common at the scenic spots if you have ever visit China. 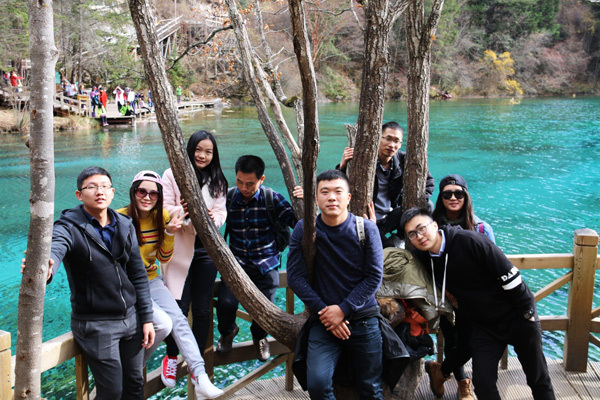 Visit Jiuzhaigou Valley in Group, can you find me? From the map, you can see, it is very similar to alphabet (Y). The joint point is Nuorilang fall (the only restaurant and smoking area is located), and on the way from the exit to this place, there are two spots worth seeing, tiger lake and rhinoceros lake . If we simply divide the whole area into two parts, the left side is mainly Zechawagou Village mainly consisting of lower and upper season lake , multi-color lake and long lake (the biggest one) from the bottom to the top . but franking speaking it fades compared with the right side, such as mirror lake, pearl shoal fall , and –five –flower lake, which is loved by young people and senior couple. 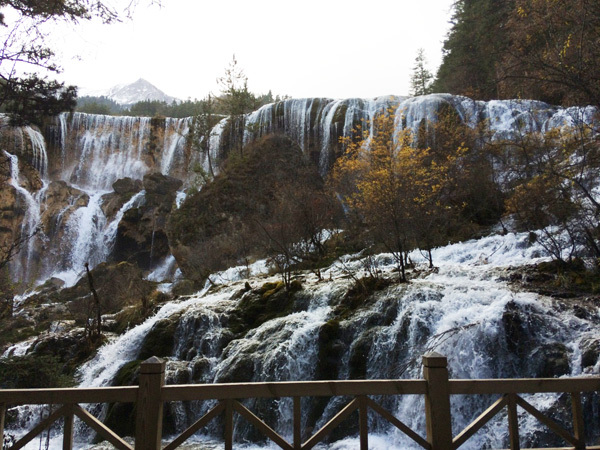 But I would like to focus on the Nuorilang Waterfall, located between Nuorilan and Shuzheng Valley, has a drop in height of 25 meters and is over 270 meters in width, as the symbol of Jiuzhaigou, it is one of China’s largest calcium falls and it is famous for breadth and magnificence. Rushing over the cliff overgrow with willows, the massive water currents from Rizegou Gully drop some 25 meters down and form a chain of spectacular waterfall of diverse shapes and sizes in a satire like pattern. During the rainy reason, the terraced waterfall produces tremendous roar that ethos repeatedly in the gully when the sun is shining, you can see gorgeous rainbows above it. In the dry season of autumn, however, it preserves another wonder. The tiny streams of the falls looks like sheet of colorful silk fabric hanging over the cliff contrasted by surrounding multi-colored bushes which add beauty to each other. In winter, it becomes a dazzling glacial cascade hanging over the steep cliff. At its bottom, you can see bunches of icicles, some of which are more than 2 meters long and are vividly suggestive of sword and spears. 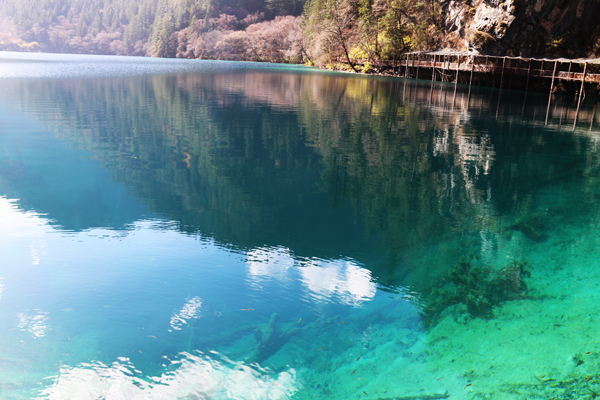 All in all, it is a must to see if you come to visit Sichuan and there is old saying , “the Guilin’s water and mountains captivate the world”, but the water in JIuzhaigou is even better than that in Guilin. 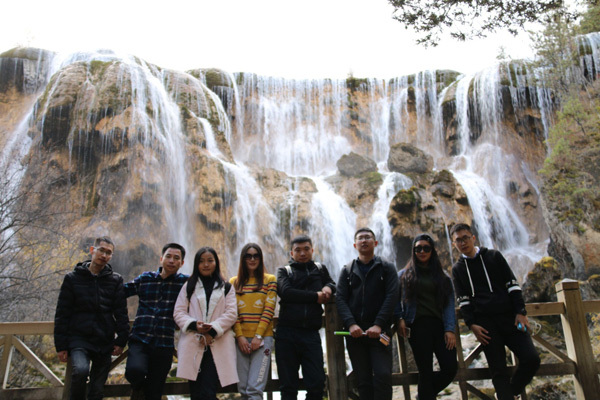 If you are interested in more Jiuzhaigou Tours – either by flight or by bus, you can head to our Jiuzhaigou Tours with different experiences. 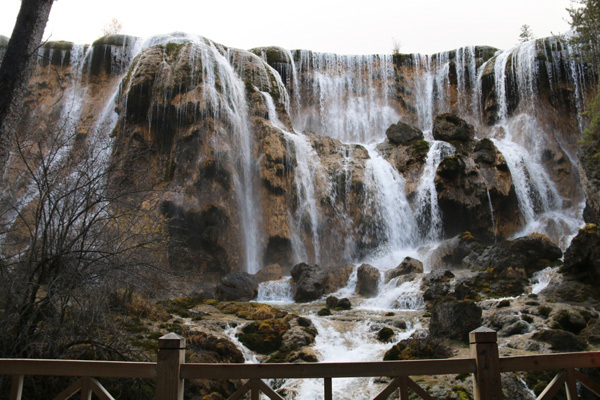 Feel free to select yours to explore the beauty of Jiuzhaigou! 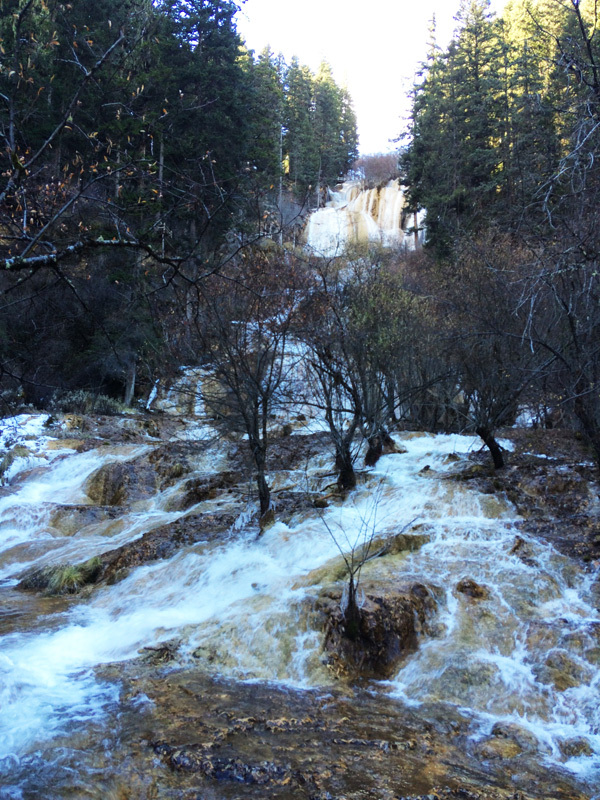 Want to know more about the experienced travel expert Jack’s Jiuzhaigou trip? You could just contact him directly or continue to read more about his travelogue. 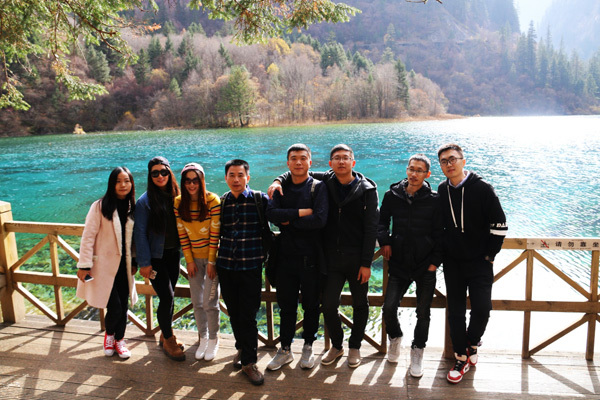 This entry was posted in sichuan tour, travel experience and tagged Jiuzhaigou Tour, Jiuzhaigou Tour from Chengdu, Jiuzhaigou Valley, winter tour by daisy. Bookmark the permalink.